Our pastors provide pastoral care visits to people who are hospitalized or for people who are enduring difficulty. Due to confidentiality laws, hospitals no longer notify churches or pastors when a member is hospitalized, even when requested by the patient. If you or a member of your family are admitted to the hospital or schedule a hospital stay, please contact the church office so that our pastors may be notified. 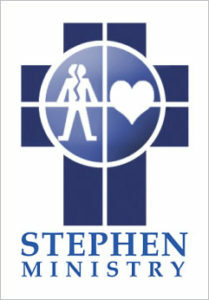 Grace’s Stephen Ministry is a Christ-centered, spiritual care ministry. It is in the beginning stages of training lay members to be Stephen Ministers. Stephen Ministers are spiritual caregivers. 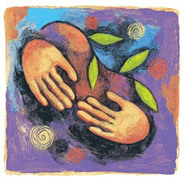 They provide one-to-one, confidential care to hurting people that are dealing with life’s difficulties. These difficulties may range from loss of a loved one, divorce, job loss, major illness, and other major life events and changes. Stephen Ministers lend a caring ear. They bring hope and comfort. They are full of faith and use their faith to bring Christ’s love to hurting people. Training opportunities to become a Stephen Minister are available. Please contact Katy Sheridan or Pastor Ken for more information. Do you like to help others when they are in need? Do you like to cook? Grace Cooks may be the perfect team for you! This group of men and women are called upon to make and deliver one meal to the Grace family that is in need. Our team provides up to 3 meals to those that have experienced a death of a loved one, are recovering from an illness or surgery, or have just brought a new baby home from the hospital. We could use more people on our team. If you think this might be a way for you to serve our congregation, please call Ellen Lohmeyer at 815.338.3562 for more information. When a member is hospitalized due to illness, injury or a new baby, members of our Grace Cooks team will cook and bring meals to your home during your hospitalization and/or recovery periods. To request meals contact the church office or Ellen Lohmeyer. Grace Lutheran Church has a group of members who serve as Home Communion Visitors, sharing the Eucharist with our homebound members. Home Communion visits are coordinated and scheduled around the first Sunday of every month. These visits, however, may be made to homebound with greater frequency as desired by our shut-in members and Communion visitors. For more information on becoming a Home Communion Visitor or to arrange a Home Communion visit, contact the church office. Grace members also deliver audio cassette tapes of Sunday morning worship to our homebound members. These tapes and visits are a source of great joy and help continue the strong connection between our homebound members and their church home family. For more information on becoming a Tape Ministry participant or recipient, contact the church office. Grace offers a Service of Healing periodically through the year. This brief worship service focuses on the healing love and power that God extends to all people. Included in the service are the anointing with oil and laying on of hands, if desired.